Lottie Siaosi, left, has benefited from the Kia Puāwai programme created by Annah Stretton. For the first time, Lottie Siaosi​ loves the woman staring back at her in the mirror. "I'm absolutely gorgeous. I'm 53 years of age and I've never said that before." Siaosi recently went through the Kia Puāwai wellness programme, an initiative which encourages participants to make incremental changes to their lifestyles for long-term gains. 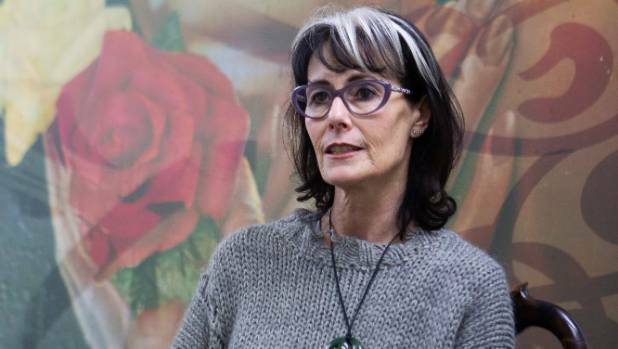 Fashion designer Annah Stretton said the Kia Puāwai programme focuses on helping people make small changes. The Kia Puāwai approach is based on three core principles - nutrition, movement and mind management - and is the brainchild of fashion designer Annah Stretton. The programme was piloted by Waikato Women's Refuge with positive results. All participants had improvements in lab results measuring cholesterol levels, liver function and average blood glucose. Sixty per cent of participants lost between 10 and 25 per cent of their initial body weight. Stretton said the Kia Puāwai approach aimed to make "edits" to people's lifestyles. The 13-week programme focuses on mental health and mind management. "I truly think fat has become a feminist issue and so many of us aren't happy with our bodies and how we look," Stretton said. "The yardstick of our success has been whether we're heavy or light and I want to throw that out the window. Instead, we ask participants to do well by their body 80 per cent of the time. They can still eat fried chicken and cake, but we encourage them to keep it at that 20 per cent level." Since her involvement with the programme, Siaosi has needed to make fewer trips to the doctor and has got her diabetes under control. She'd also picked up new cooking skills. "In my home, my family loves pizza and burgers. But Annah has taught us how to make home-made pizzas and burgers and has given us confidence to experiment with healthy food." Another valuable lesson has been learning to accept and love herself, Siaosi said. "Women can be the harshest critics of themselves and so I've learnt to be kind to myself. "We should love the fact that every day we get up, we breathe, we can walk and do what we need to do and it's all because of this body." An entire demographic has been left behind, which is what the Kia Puāwai programme is addressing, Stretton said. "Unless you're white and advantaged and can afford the gym ... and the latest supplements and shakes, you're not actually going to be activated in that space." Stretton worked with one young woman who was spending $100 a week on energy drinks. Stretton began by encouraging the woman to reduce her intake by one can a day. "This young girl was in a very anxious space and I just got her to edit her normal and now she doesn't drink V [energy drinks] anymore. If you can get people to make a mental shift, then you will get some great outcomes." Cathy Khouri, a registered dietitian and nutritionist, had heard of the Kia Puāwai programme but didn't know the specifics of its content. The programme's focus on health and making small, specific changes to people's lifestyles made sense, Khouri said. The key to making long-term changes to a person's wellnesss and lifestyle was understanding their story, she said. "I understand it's very early days and there are small numbers involved. But what I see as a point of difference for Annah is that she has a high-needs population who may not be financially advantaged. "Annah's underlying principle is gain health not weight and that's an excellent approach to take in my view. It seems to me the focus is off the scales and off a set of food rules that you must stick to, and more on mindful eating."